Former governors Roberto Borge and González Canto reportedly will testify in trial against "El Chapo"
"The King" Zambada, co-conspirator of "El Chapo" Guzman, swore that he paid millions to the exgovernors of Quintana Roo. 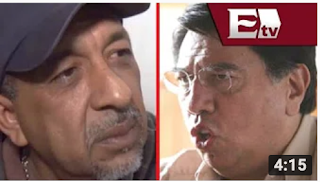 During the trial of "El Chapo,", two ex-governors of Quintana Roo had been accused of receiving bribes: Felix Gonzalez Canto and Roberto Borge Angulo. Jesus "el Rey" Zambada, testified in New York that he had delivered bribes to Leticia Rodriquez Lara, an agent of the Federal Police, that were from the leader of the Cartel of Cancun. 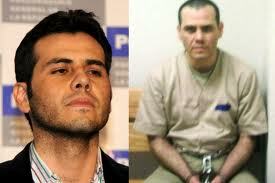 Gabriel De La Rosa was kidnapped days ago by armed men. In the video you can see how two fire arms are pointing at him, at the same time Gabriel reveals that many politicians from Veracruz take part in kidnappings and pipeline stealing from PEMEX. The leader of the PAN,(National Action Party) in OTEAPAN, Gabriel De La Rosa Enriquez, who is assumed kidnapped, appeared on a video in which he exposed many politicians from Veracruz. 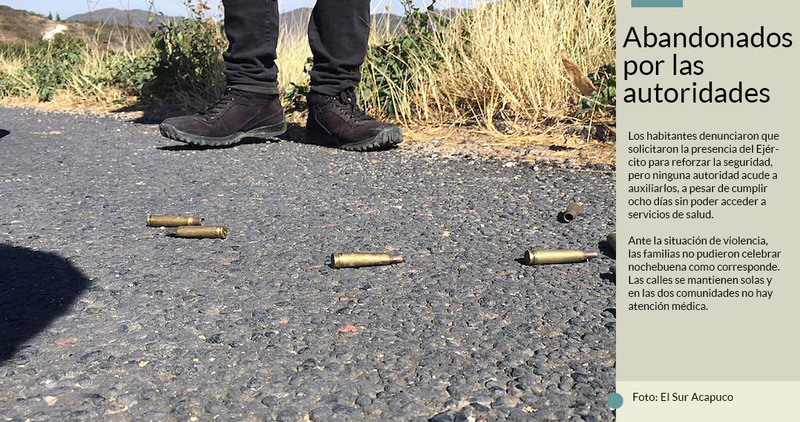 The director of Public Security of the municipality of Zitlala, Guerrero, Arturo Grande Corraltitlán, and the commander of the Federal Preventive Police, Martiniano Cuadrilla Lorencito, were murdered early this morning. The information was confirmed by the Public Prosecutor's Office of the Common Jurisdiction (MPFC) of Chilapa de Álvarez. 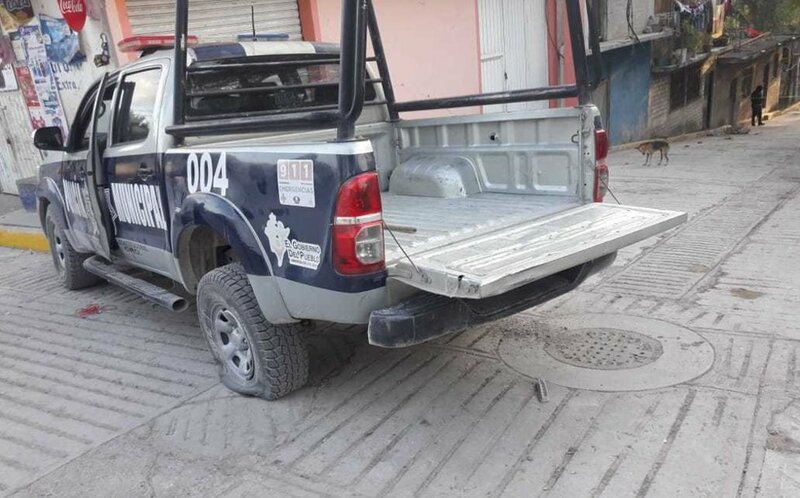 The two bodies were found in Venustiano Carranza street, in the neighborhood of San Mateo, inside a truck that was used for patrols by the municipal Police. According to the first reports, the director of Public Security and the commander of the Preventive Police were shot to death by a group of armed civilians. The Zitlala ombudsman also confirmed the crime and asked for the support of personnel from the State Attorney General's Office (FGE) to carry out the removal of the corpses. In Chilpancingo, Governor Hector Astudillo expressed sorrow and regret for the incident and said that this is one of the points in which work is being done in the area of crime prevention. Looking ahead to Vicente Zambada Niebla, son of El Mayo, taking the stand, find two documents below. A transcript of a phone call between himself and the Flores twins, where he requested rocket launchers, and below that a copy of his November, 2018 Plea Agreement. MEXCIO CITY - The party of Mexico’s president submitted legislation on Nov. 8 that would legalize marijuana possession, public use, growing and sales. Sen. Olga Sanchez Cordero presented the measure, saying that everyone should have “the right to carry up to 30 grams (one ounce) of cannabis.” People could carry more than an ounce if they requested a permit to do so under the proposal. On Dec. 14, there Mexican Senate tweeted a message that state it was taking steps to approach other countries that have legalized the status of marijuana to learn from them. Kyle Williamson, Special Agent In Charge for the El Paso Drug Enforcement Administration said he doesn't’t agree with the legalization of marijuana. With the Borderland community intertwined with Juarez Williamson expressed particular concern for youth in the community. Law enforcement agencies in the United Stateshave expressed worries that Chinese crypto channels are increasingly being used to launder money by Mexican drug cartels and other transnational organized crime groups. The shift toward Chinese and Asian money launderers is believed to be, in part, due to the natural relationship created by the large volume of both licit and illicit trade goods and chemicals imported from China. The use of an Asian money broker simplifies the money laundering process and streamlines the purchase of precursor chemicals and paraphernalia utilized in manufacturing drugs for street sales. Antonio receives a call a month to do hacker "jobs". Two when there is a lot of 'chamba' and very occasionally have come to do three commitments. 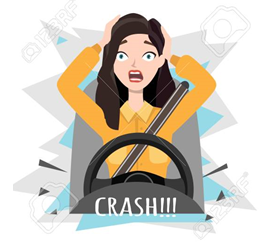 In his line of work, at least in one of the two that you have and the most risky, it is not a good idea to go through the network leaving frequent traces of your operations. Anonymity is your best ally and discretion a tool almost as valuable as its ability to 'throw' portals, access to forbidden sites on the Internet and obtain personal data without people being aware of it. On Friday that armed men had assaulted police from a private security company, who were dropping off money at Santander Bank's ATM, leaving two custodians wounded by firearms. Just released is the video of a security camera that captured the hallway where a robbery of one million pesos occurred at an ATM in Plaza Diamante and left two security agents injured. The video, which lasts 32 seconds and just circulated on social networks, shows the faces of five men with hand guns and one AK47. They shoot and flee with the bag containing the money. It also shows two men were in one of the restaurants waiting for the robbery to commence, then getting up from the table throwing chairs and helping their accomplices flee. Three men were killed and two women were injured in two attacks in the Costera Miguel Aleman during the early hours of this Saturday. The first event occurred at the Mykonos bar, located a few meters from the Costera 125 shopping center, in the bar area; one man lost his life, and three other people were injured, two of them women. According to official reports, the incident occurred at 02:34 hours this Saturday, when a call to the emergency number reported that several firearms shots were heard and people were injured, they immediately dispatched to the site. 2018 is the most violent year in Mexico, not only because of the number of homicides, but because of the extent of the same. The increase in murders in the country is recorded in 27 of the 32 states and even though the balance left by December is not yet known, it is clear that 15 entities will reach a record level of homicides. Among the states where homicides have increased, according to the data on the criminal incidence of the National Public Security System , there are alarming cases like the one in Guanajuato or Quintana Roo, where homicides grew more than 100% in the last year alone. 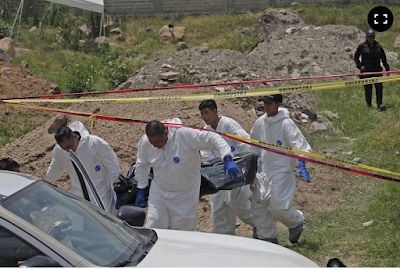 There are also other entities where the deterioration has been progressive as Baja California, where the level of murders from 2013 to date was multiplied by three. In Enrique Peña Nieto's administration, the strategy to reduce homicidal violence focused on dividing the country into five different regions. The total data of the sexennium reveal that homicides did not decrease but increased in three of those five regions. 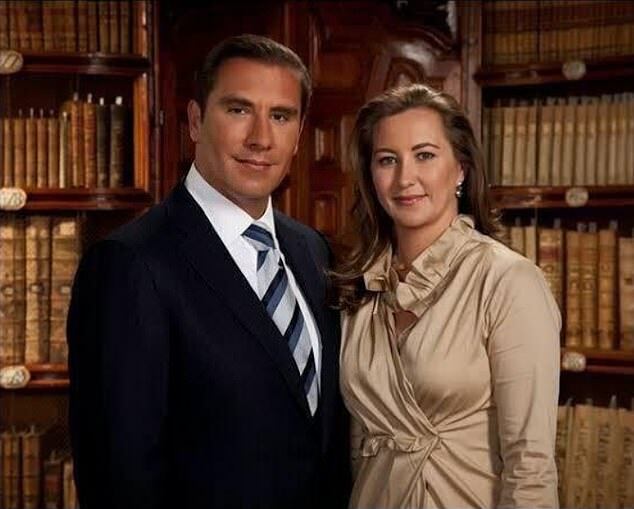 A team of experts from Canada today began their investigations into the air tragedy where conservative politicians Martha Erika Alonso and Rafael Moreno Valle died in central Mexico. "Today Canadians begin their investigation. And we do not know when they will reach their conclusions because the process is not simple. 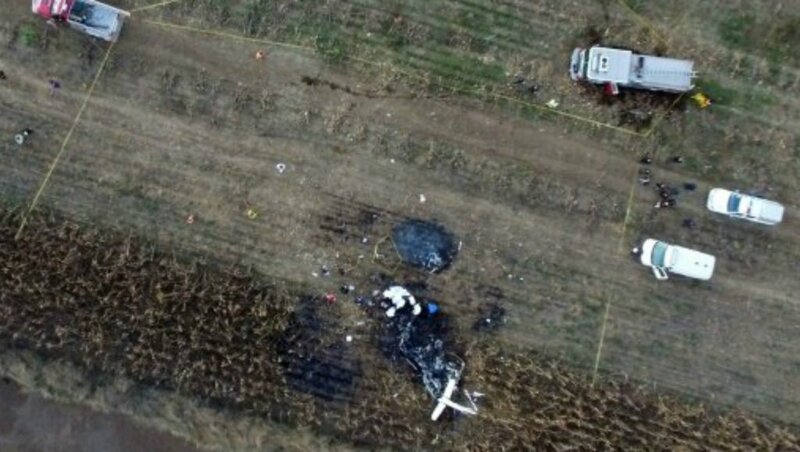 They are going to study the remains of the aircraft and take the pertinent samples,” said today the head of the Ministry of Communications and Transportation of Mexico, Javier Jiménez Espriú. There was once a time that Los Zetas cartel ruled over the northern state of Coahuila. Any point of business, state government, municipal government, the press, all functioned only by going through the cartel. The cartel as a whole were weakened, and discontinued advancement, which had been the fastest in narco history. 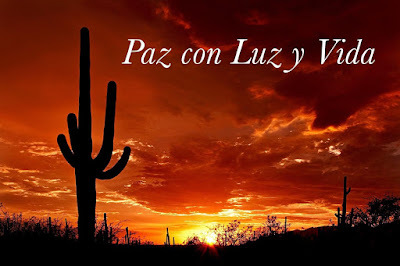 They lost territory and control, even in Coahuila, for the past few years the north in places like Piedras Negras, Acuna, Sabinas, Five Springs cities and other cities formed a Zeta hotbed of violence. Disappearances, shootouts, extortion, kidnappings were the norm. This is the area where I put down roots when arriving in Mexico. I knew nothing of organized crime, but after a shootout between the Marina and Zetas, with the former in pursuit of the latter going through my property, I became a narco student. Which is what brought me to Borderland Beat, a mentor of mine, a police chief of a city in Texas, told me about the blog. Chivis Martinez for Borderland Beat-thanks for the video BB follower! Singer Roberto Tapia is on tour in Michoacán, and according to his social media was kidnapped by an armed commando, but released. 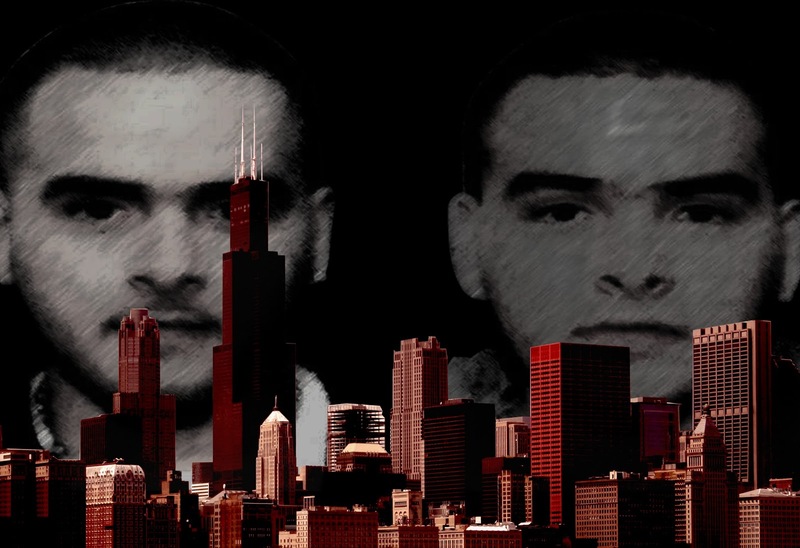 Tapia is known for “Narocorrido” genre of music, many dedicated to El Chapo, and Michoacán cartel capos. The attorney General’s office denied that there was a kidnapping involving the singer. The AG further stated that investigations into the allegation proved to be negative. For his part the singer said no matter what happened they are moving forward with the concerts. There was a call to the emergency center reporting that Tapia and his team were taken by a commando, but by the time police mobilized the musicians had been released. Tapia’s rep, Freddy Perez, through his Instagram account confirmed that they were ‘attacked’, but gave no details. “Thank God we are alive”, said the rep.
Robbers assassinate a Swiss tourist in Acapulco in a botched attempted theft. Two men were attempting to rob a house but, resisting the assault, the man of Swiss origin and his wife were attacked with a knife; he died, she was taken to the hospital seriously wounded. The events occurred this morning at the Club Deportivo de Acapulco Fraccionamiento. The morning of Thursday, in a presumed assault, a man originally from Switzerland was killed with a knife and his wife was seriously injured , in the Sports Club of Acapulco. Before 6 o'clock in the morning, a call to the 911 emergency service, alerted the authorities of what happened. The events took place on Roca Sola Street in the Club Deportivo district , when apparently two men went into the house with the intention of stealing, and when they resisted, the couple was attacked with a knife . According to testimonies gathered, the victims were on vacation in Acapulco and apparently the motive for the crime was the attempted robbery. The 84-year-old man is originally from Switzerland and died from injuries caused by a sharp-cutting weapon. The wife of the deceased was seriously injured and taken to a private hospital for medical attention, including surgery. After eight days of requesting the support of the state authority, the families remain waiting for the arrival of the army contingent, of which they know nothing but are hoping for their support. The inhabitants of two localities of Municipality of Chilapa, Guerrero, requested the presence of the Army to reinforce security, but no authority has come to help them, despite being eight days without access to health services. Through shortwave radios they know what members of organized crime will do, and although they did not want to detail this point if they are threatened with something specific, but they did say that the children are very afraid because they have listened to the messages. Inhabitants of the indigenous communities of Zacapexco and Rincón de Chautla , municipality of Chilapa, have not been able to leave for the municipal seat since December 19, because an armed group of 200 men surrounds the area and fear being abducted along the way. In a call it was reported that the inhabitants requested the presence of the Army to strengthen security , but no authority comes to help them, despite eight days of being unable to access health services. "We are all very afraid. The children have stopped eating, because we heard on the radio what the armed men want to do, "added one of the inhabitants. It's the deadliest drug in America, shipped here from Mexico and China: Fentanyl, a synthetic opioid, 30 to 50 times more potent than heroin. This year, his office seized a record 540 million one milligram dosage units, enough to kill the entire city. Roughly $500 million worth of drugs stopped from hitting city streets. In case you haven’t noticed, BB reporters been posting articles at a rate not seen in years. My girl Yaqui is the engine that could----and does, we are the best team ever. With help from others this year is closing out with number of posts at the third highest in BB history and not achieved since 2011. Views jumped almost a quarter million. All good and gratifying…big thanks to all contributors and translators. Yaqui is leaving to Mexico in a remote area that has unreliable wifi. Her ability to contribute, will be questionable and clearly will be impacted. This a trip she and Super Mike take each year, so this is not conjecture, it is knowledge from experience. Baja, Ca: Decapitations and "Entambados" and "Encobijadas"
TECATE BC: Two decapitated bodies are found in the neighborhood road to the Manteca Canyon of the Nueva Hindú settlement, Cerro Azul section. The corpses are masculine, both were tied at the hands and feet. Authorities reported that animals were already starting to eat corpses. TIJUANA BC: They kill another 6 people in the city, two of the victims are women and another one left ''entambado'', ie , in a barrel. This was "Noche Buena" or Christmas Eve, Dec 24. On the 23rd of Dec, 7 more were killed in various Colonias in TJ. 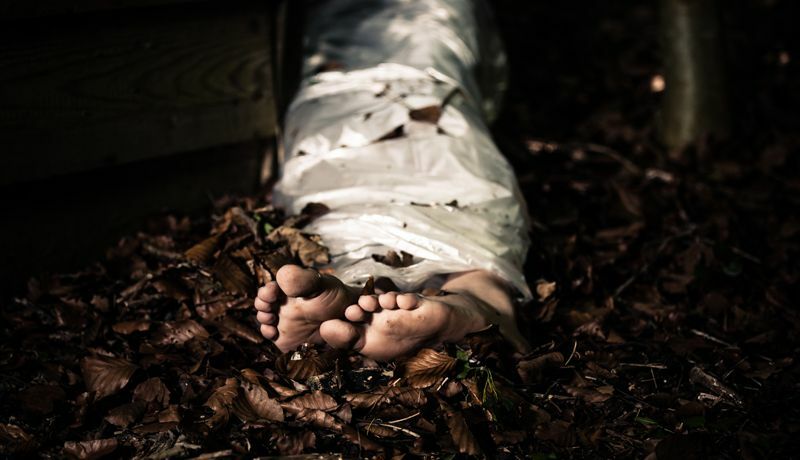 On the Via Rapidido West Road in the Colonia Imaq Tijuana two bodies of men in a state of putrefaction were located inside an abandoned wooden house. The second victim, a female, was found on Encinal Street in Colonia Ejido Francisco Villa, who was injured by a projectile from a firearm. Another female body was located in the Independence Route of the Mariano Matamoros Norte colony inside a shopping center, which presented injuries by firearm projectile. According to reports, these groups operate mainly in the metropolitan area of ​​Guadalajara. The security and intelligence bodies of Jalisco are aware of at least 40 cells of organized crime dedicated to disappearing people in the state. That is his modus operandi to fight rivals and intimidate extorted villagers. Sometimes they also kidnap innocent people, confused with members of opposing gangs, as apparently happened with the young film students captured in Tonalá, according to the first investigations of the local Prosecutor's Office. Some of these squads of assassins, to hide the crimes they perpetrate (where kidnapping is also included), choose to dissolve in acid the corpses of people previously killed with blows, with sharp objects, or with firearms. According to official reports, criminal groups operate mainly in the metropolitan area of ​​Guadalajara and its surrounding municipalities, but also in municipalities in the interior of the state, especially those located on the south coast. The Jalisco State Human Rights Commission issued a report on missing persons on March 23, in which it states that in the five years of the administration of Governor Aristóteles Sandoval, 14,000 people have been reported as "untraceable". 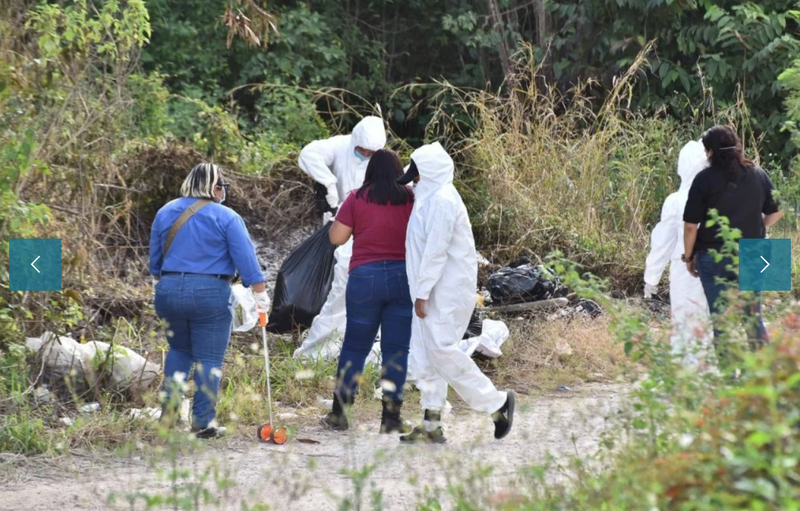 On a dirt road of the 206 Region of Cancun two dismembered human bodies were found , while in Playa del Carmen a skeleton was found in a green area of ​​the 75th Avenue with 38th Street , which was discovered because dogs took part of a leg. In Cancún, residents of Colonia Oasis reported to the emergency number 911 the finding of at least three black bags with human remains on 20th Avenue in Region 206. Elements of the Municipal and Ministerial police verified that inside the bags there were rest of what seemed like two dismembered human bodies. 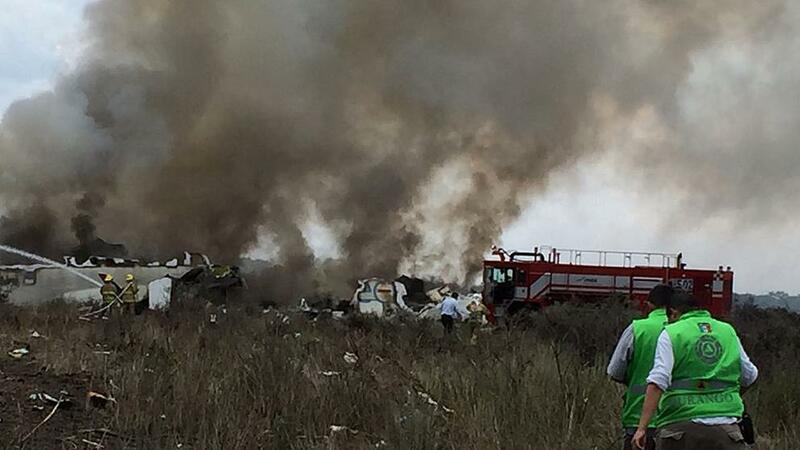 Part of one of one of the bodies was outside the bag and showed that the remains were exposed to fire. In the administration of Enrique Peña Nieto, organized crime reached a tragic record of 26 murdered Catholic priests, compared to the 17 killed during the term of Felipe Calderón, ( generally referred to when he put The War on Drugs on steroids). 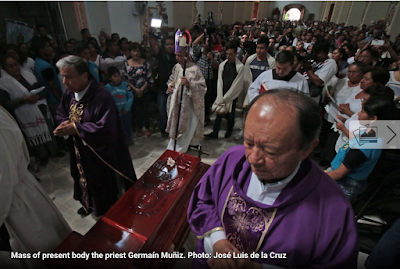 With this "clericide," as the religious expert Omar Sotelo calls it, criminal gangs seek to provoke "social destabilization" in communities, demonstrate that nobody is safe and silence a sector that, like journalists, "generates public opinion." Considered the most tragic for the priesthood in Mexico and only surpassed by the period of the Cristero War, the government of Enrique Peña Nieto left a balance of 26 priests killed by direct attacks and by the mere fact of being religious ministers, they are crimes that to date have not been clarified, so they remain in complete impunity. 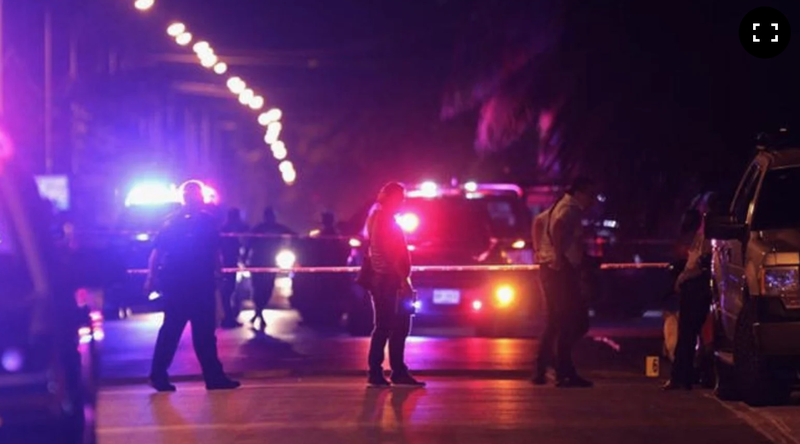 On December 25, Christmas Day , a shootout was reported in the Arboledas subdivision of the Vacacional neighborhood in Acapulco Guerrero, where five people died, including a minor, as well as a wounded person. 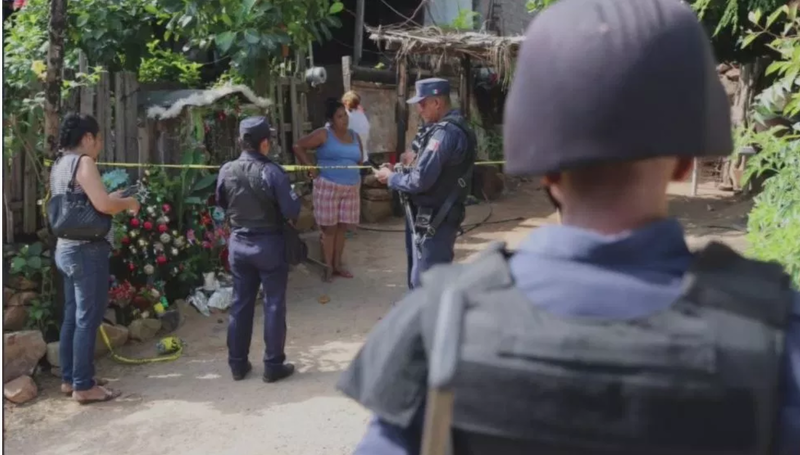 According to local media, the shooting occured between El Quemado and Teófilo Olea Leyva streets of said subdivision , a suburban area of Acapulco. First versions suggest that a group of armed civilian individuals stopped in front of the building and opened fire on a group of people gathered for a Christmas celebration on Tuesday afternoon. Agents of the Police of the State went and cordoned off the zone of the crime, whereas effective the army guarded the place; According to the information provided by the authorities, the attack occurred outside a house that allegedly operated as a slot machine business. Abel Sarmiento gives voice to the search group Las Rastreadoras de El Fuerte through a moving video in which they wish a happy Christmas to their children "wherever they are". Los Mochis, Sinaloa Through an emotional video, the search group Las Rastreadoras de El Fuerte wish a merry Christmas to their missing children , "wherever they may be". 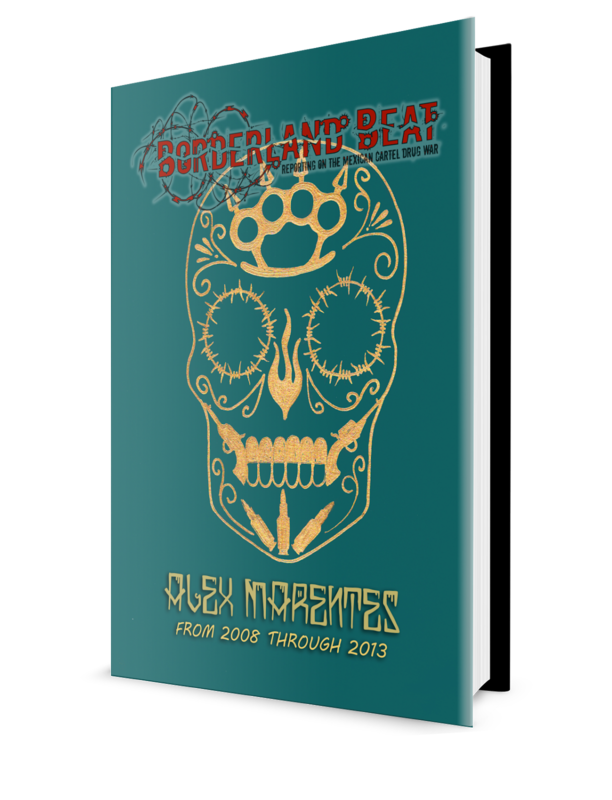 The material published by the creator Abel Sarmiento is a moving message that gives voice to this group of women who day by day struggle tirelessly to find their loved ones, and some who have already found them and now have a grave where they can visit them. "My God, I know that today is a special date for you, it is December 24 and I know that today your son was born." Piedras Negras. Around 9:00 at night, the red code was activated in the Piedras Negras metropolitan area , after elements of Fuerza Coahuila were attacked and after several trucks were detected with armed persons inside. Through the WhatsApp groups of the state corporation the maximum alert was broadcast, mentioning that the subjects wore hoods of skulls, aboard at least six trucks, including a black Chevrolet Tahoe. 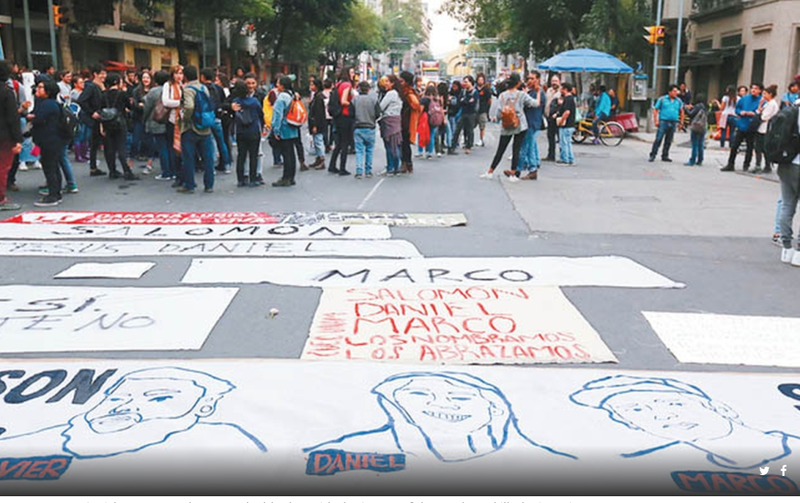 It was indicated that they circulated on the Republic Boulevard, in the direction of the Las Haciendas neighborhood, and later entered the gap known as the Camino Viejo de Mortalidad, ie "old road to mortality", where the attack against the police forces began. The State Security Commission indicated that the action to fight crime was carried out in a coordinated manner, between Fuerza Coahuila and Municipal Police, which are still in search of those responsible for the combat that left two dead and one injured. 🎅Wherever, whatever....Borderland Beat wishes you and yours a joy-filled Christmas. Christmas Sinaloa Style: Dispenses Delivered with the name of "El Cholo Iván"
"El Cholo Ivan" Wishes his friends a Merry Christmas and Happy New Year"
Unknown subjects distributed Christmas stores in the name of "El Cholo" Iván, former security chief of "El Chapo" in dozens of trucks and vans without any authorities intervention. On Christmas Eve, unidentified individuals aboard vans distributed "dispenses" or foodstuffs , among residents of towns such as Salvador Alvarado and Mocorito, in Sinaloa, labeled with the name of Orso Iván Gastélum, "El Cholo Iván" , Joaquin "El Chapo" Guzman Loera's former security chief. Photographs from social networks and a report of the newspaper "El Universal" record the presumed "Christmas gifts" of the criminal who was arrested along with "El Chapo" on January 8, 2016 in the Mochis. Neighbors received in transparent bags and without intermediaries the pantries that contained essential supplies. 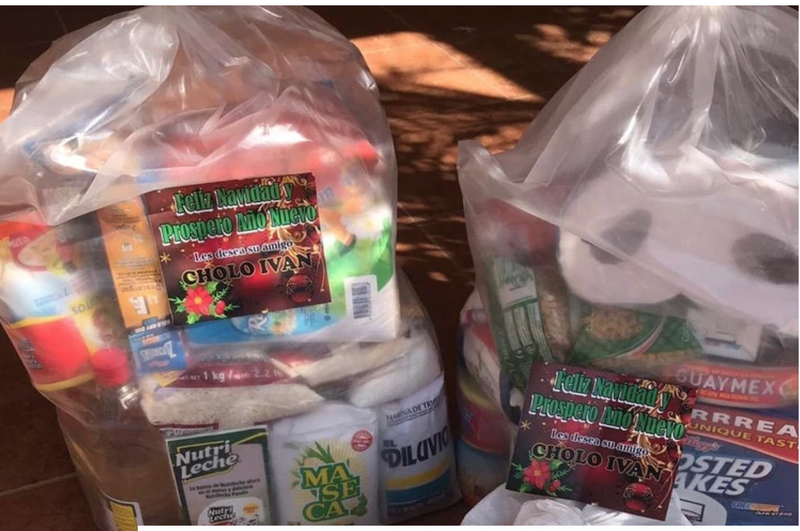 This is not the first time that items donated to civil society in Sinaloa are labeled by members of the Sinaloa Cartel. In September, social media images of the delivery of mattresses, grills and food for communities affected by Storm 19E were disseminated in the name of "El Chapo" Guzman. Due to alleged fraud and abuse of authority, a judge issued a formal prison sentence against the former director of Civil Protection, Antonio Lomelín; the current Mayor Heyden José Cebada is designated as an alleged accomplice, but so far has protected himself from going to jail. 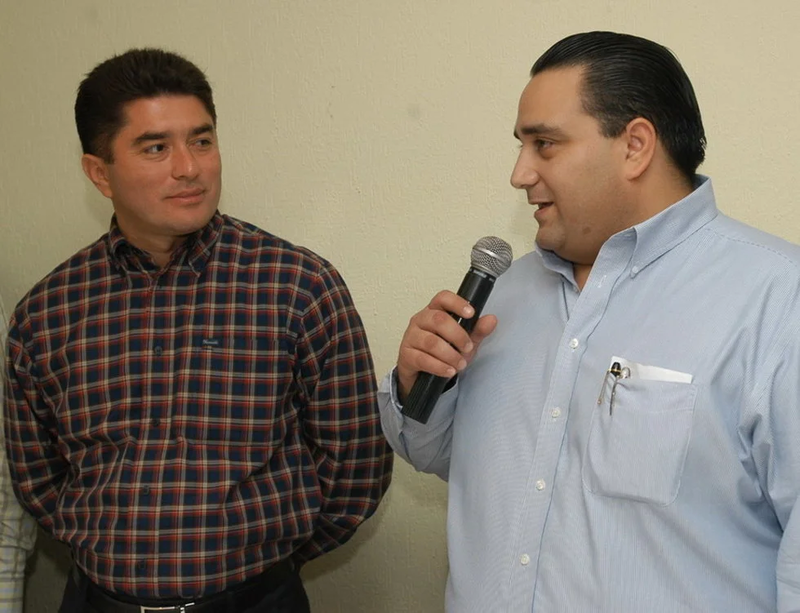 The alleged crimes of Lomelín Diaque would have been committed when he was president of the Board of Conciliation and Arbitration of the municipality of Benito Juárez . 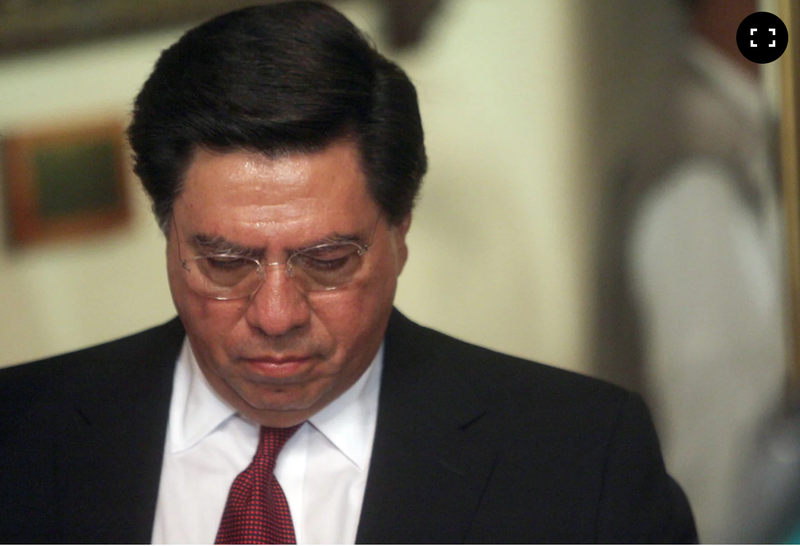 A control judge issued a formal prison sentence against Luis Antonio Lomelín Diaque, former Director of Civil Protection of Benito Juárez, for alleged procedural fraud and abuse of authority. 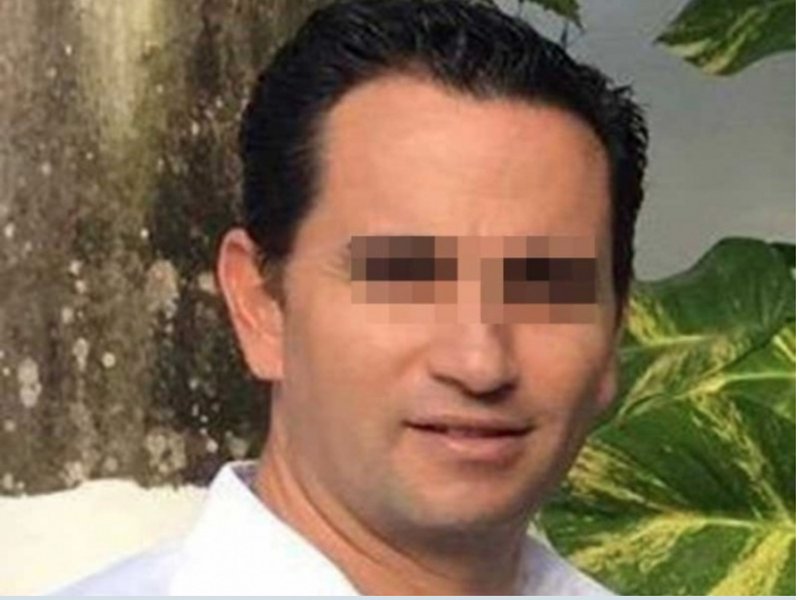 The alleged crime was committed when he served as president of the Board of Conciliation and Arbitration, whom they accuse of his alleged accomplice is Heyden José Cebada Rivas, current mayor of Cancún, who protected himself from going to jail. Quadratin reports indicate that the First Criminal Judge of the First Instance of the judicial district of Cancún, José Ángel Gutiérrez, issued an order to Lomelín, for which, pursuant to Article 49 of the Code of Criminal Procedures of Quintana Roo, the process is declared open Penalty so that in 15 days present tests that will be analyzed in the following 30 days. The judge instructed the director of the Center for Social Reintegration of Cancún to send instructions to the director of execution of sentences and security measures in Chetumal, to find out if the accused takes any ill gotten gains with him to prison. Lawyers and businessmen of Cancun denounced the alleged crime on June 25 and accused the two of having auctioned off and adjudicated land parcels, houses and properties within the commercial area with conspiracy. 75 years Sentence to three for massacre at Casino Royale, 52 died in the fire. 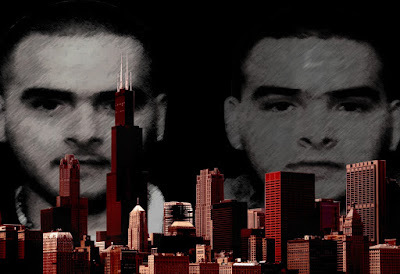 Jesús Alejandro García, alias ''El Gato'' or ''El Borrado''; Tomás Barbosa Sánchez and José Alfredo Grimaldo Rodríguez are the people who were sentenced in Monterrey, Nuevo León. Three of those implicated in the Casino Royale massacre were sentenced to 75 years each in prison , the Nuevo León Attorney General's Office revealed . 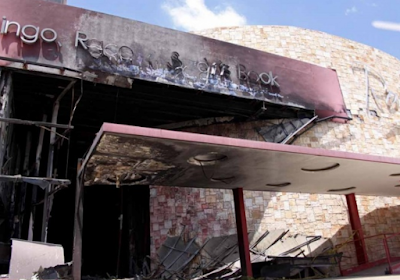 The events were recorded on August 25, 2011 and 52 people died when an armed group set fire to the betting house, located on San Jerónimo Avenue in Monterrey. The attack occurred because the owner of the Casino allegedly refused to pay Los Zetas group the piso fee, ie extorsion fees paid to the Cartel to remain operating. NOTE: DEC 24, Sin Embargo is now reporting AT LEAST 11 bodies have been exhumed so far; stay tuned. In the Cueva del Diablo, in Colonia La Mira in Acapulco , Guerrero, several clandestine pits containing the bodies and skeletal remains of at least eight people were found. The Government of Guerrero confirmed that the discovery occurred on Saturday morning when a security "safe" house was located in the upper part of the La Mira neighborhood . 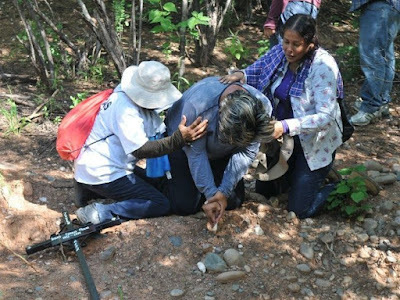 There were eight graves located and expert personnel and the Public Ministry inspecting the land were able to remove from these eight clandestine graves, three complete bodies and bone remains that could correspond to five more people, that is, we have a total of eight people in the eight graves located, " said Roberto Álvarez Heredia, spokesman for the Guerrero Coordination Group. 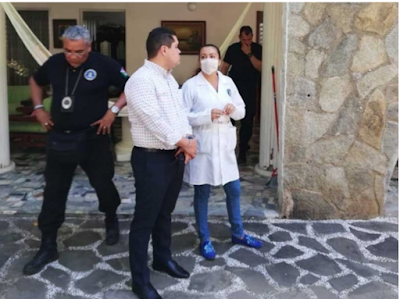 The bodies were transferred to the facilities of the Forensic Medical Service in the Regional Prosecutor's Office based in the Progreso neighborhood of this port. The Office of the Prosecutor already carries out the expert tests to determine the identities of the corpses and human fragments. An armed group entered a house and shot the party goers; two died in place and three in the hospital. The death toll after the shooting yesterday at the corner of Magdalena Cobos and Rafael Lopez, in Colonia Carmen Serdán, the mayoria of Coyoacán : Five. Two more party goers were injured. The assailants made 47 shots with caliber weapons .45, .223 and 9 millimeters. Investigators are considering the possibility of a confrontation between alleged criminal gangs. Armed men staged two shootings in Coyoacán that left a balance of five people dead and two injured, this Sunday confirmed the authorities. The capital authorities are investigating the events, which were reported early Saturday, as a confrontation between alleged criminal groups operating in the area. Reports from the police report that at 04:00 hours, at least six people aboard two vehicles, a blue Chevrolet and a Honda truck, clashed with another group of men on Laura Méndez street in La Cuenca, CTM VIII Culhuacán Housing Unit. 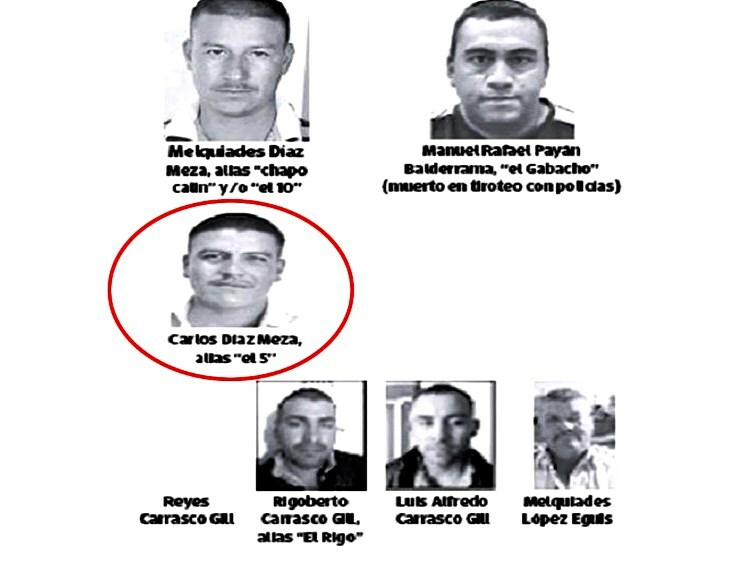 In October 28th of this year, a group of at least eight members of organized crime were responsible for ambushing and executing, agents of the Secretariat of Security of the State of Mexico, in the city of Almoloya de Alquisiras. Almost two months after the attack that cost the lives of four policemen, a video began to circulate in which it depicts how the aggressors waited for the agents in a wooded area. Supposedly the aggressors are from Familia Michoacana. In the first clip, a man gives the sicarios information of where exactly the shooting will commence. 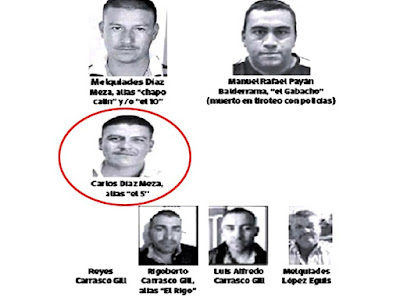 On Friday morning at about 08:00 hrs, Carlos Díaz Meza, alias “El 5”, was executed in his home in calle Tarahumara in Guachochi. The municipality is situated in the southwest of Chihuahua and is part of the Barrancas del Cobre. Reportedly, “El 5” was shot dead at close range by two individuals, armed with an AK47 and an AR15, at the entrance of his house after opening the door to his assailants. Authorities expressed the concern that this murder could lead to increased violence in the region. 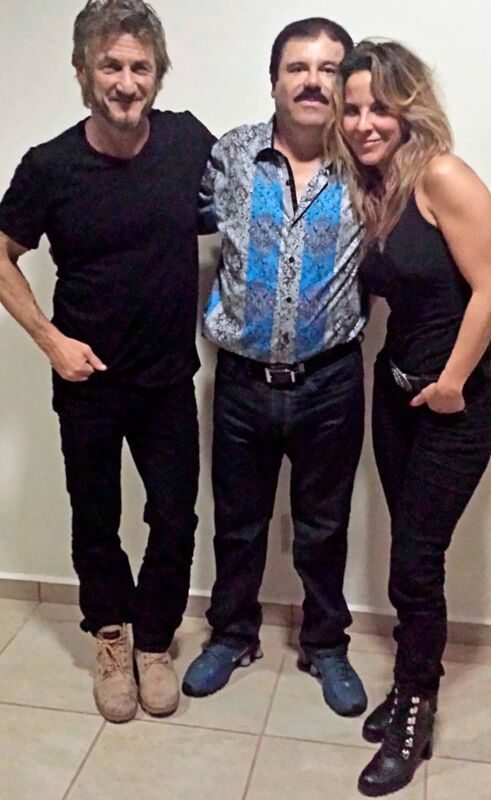 "Sean Penn apparently helped in the location and detention" of Guzman, now on trial in New York....."
Actress Kate del Castillo said she is suing former Mexican officials for $60 million in "moral and material damages" because of what she calls "political persecution" against her. Mexican authorities investigated del Castillo following the secret meeting she arranged with Sean Penn and former fugitive drug boss Joaquin "El Chapo" Guzman in 2015. She was never charged, but claims that prosecutors leaked information that damaged her reputation. Del Castillo arranged the meeting because she was considering doing a documentary or film about Guzman's life, but said she currently has no plans to pursue such a project. She also said at a news conference in Mexico on Thursday that she is no longer in touch with Penn and believes he betrayed her. "Sean Penn apparently helped in the location and detention" of Guzman, now on trial in New York, she said. "I was not aware of that situation, and that is why I have always referred to it as betrayal." 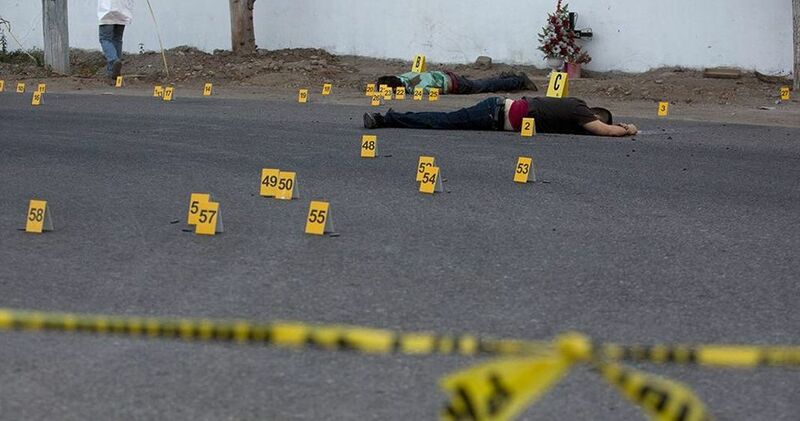 Every day in Mexico an average of almost 4 victims per hour is killed. 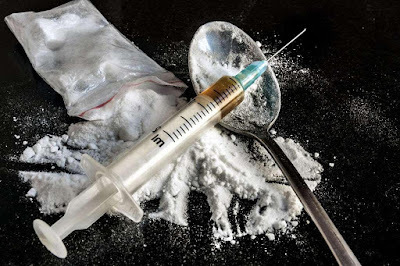 It is a level that was not reached even in the years 2011 and 2012, the most violent of the six years of Felipe Calderón as President of Mexico, who gave the War on Drugs a new stage. The last year of the presidency of President Enrique Peña Nieto will be the most violent of the official record in Mexico. With two months still ahead, intentional homicides in 2018 already claimed more than 28,500 victims. It is about the same number of homicides that were recorded in all 2017, which until now had been the year with the most murders. The crime incidence statistics of the Executive Secretariat of the National Public Security System (SESNSP) show that this year at least 95 women and men are murdered every day in Mexico, that is, an average of almost 4 victims per hour. It is a level that was not reached even in the years 2011 and 2012, the most violent of the six years of Felipe Calderón. 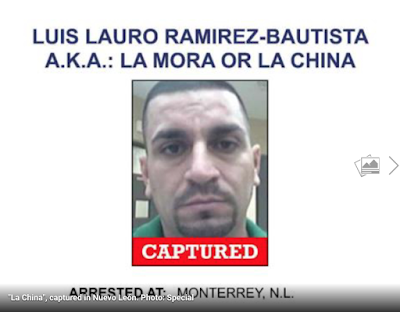 MEXICO CITY: Luis Lauro Ramírez Bautista, alias "La Mora" or "La China" and designated as operator of the Beltrán Leyva Cartel, was detained by the Federal Police in Nuevo León on Dec 14th. The ministerial elements completed an arrest warrant for the purpose of extradition to the United States against "La Mora", who is required by the Federal Court for the Northern District of Texas, to be prosecuted for his probable responsibility in the crimes of murder and criminal association. Ramírez Bautista is credited with participating, along with other people, in the killing of Juan Jesús Guerrero-Chapa, lawyer of the ex-leader of the Gulf Cartel, Osiel Cárdenas Guillén, registered on May 22, 2013, in Southlake, Texas. The former governor of Michoacán, Jesús Reyna García, left the prison of Mil Cumbres where he was being held. 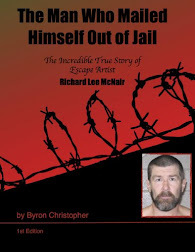 He had been moved from Altiplano Prison about a month ago. Reyna left the David Franco Ramírez prison around 3 Am this Saturday morning, after the Attorney General's Office ( PGR ) withdrew the charges of organized crime for which he was accused. Alfredo Castillo , Commissioner for Security of Michoacán, considered Jesús Reyna a victim of political persecution. The Prosecutor's Office reported the finding of skeletal remains of at least seven people. 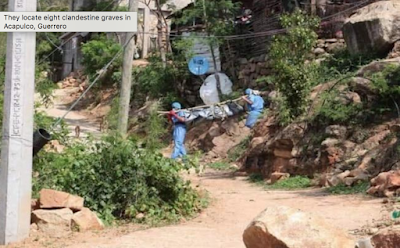 Guadalajara, Jalisco: The Attorney General of the State of Jalisco reported that an investigation folder was opened regarding the location of a clandestine grave in the community of El Lindero , in the municipality of Lagos de Moreno. Through a statement, the agency said that the investigation was begun after the report that foul odors were emanating from a specific area. They carried out the proceedings which led to the location of human bone remains that apparently correspond to seven people . The Office of the Prosecutor indicated that personnel from the Jalisco Institute of Forensic Sciences also went to the site to carry out their work. This statement of “facts” is the story as presented by the Flores Twins. I love this site and all the articles and comments from everyone so I’d like to share with you some cartel related audio books, they all should be in mp3 format. The leader of the criminal group , Los Zetas, alleged in the amparo lawsuit that he still has pending cases in Mexico. Sentencing judge postpones extradition to the US for Miguel Ángel Treviño, ''El Z-40'', grants Amparo. Consequently, even as the judge analyzes whether or not it is legal to surrender the main leader of "Los Zetas", extradition can not be executed. CDMX: A federal judge has frozen, for the time being, the extradition of Miguel Ángel Treviño Morales "El Z-40" to the United States, where he has pending criminal proceedings for drug trafficking and "laundering" money. The Eighth District Judge of Amparo in criminal matters granted the suspension of the plan to the "exile" claimed by Treviño Morales as a result of the extradition process that is in process. 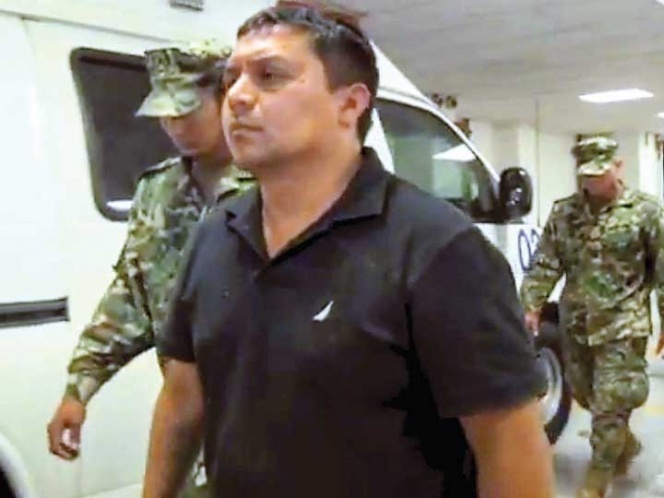 In his application for amparo " El Z-40" he argued that he still has pending several criminal proceedings against him in Mexico, all in the investigation stage and one in which in the coming months sentence could be issued. "The act considered damaging to the human facts of the complainant today is the order to banish him from the country under the argument of temporarily extraditing him to the requesting state, without complying with the extremes contemplated in Article 15 of the international extradition treaty signed between Mexico and the United States, this is because it still has pending lawsuits to be resolved in Mexico, and no condemnatory or acquittal has been handed down in any of them, " he said in his complaint. Local Colombian criminal groups handed the cocaine trafficking to the US to Mexico's Sinaloa and CJNG cartels, and the violence grew. Tumaco, Colombia: The boats carry the evidence above. Tanks and more gas tanks are driven deep and deeper into the Colombian Pacific jungle. 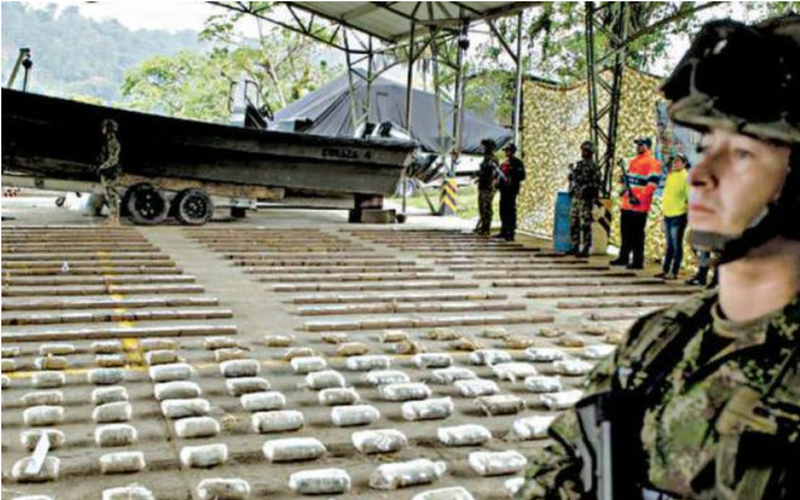 Drug trafficking does not give in to the military offensive, and now Mexicans personally supervise shipments to the United States from Colombia. Only a few dare to speak under reserve of the Mexicans. The silence continues to prevail in the wooden houses that rise on the banks of the Mira and Mataje rivers, in the department of Nariño. The Mataje River , part of the Rio Esmerelda which is the natural borderline between Colombia and Ecuador. They "move with an enviable ease and our people see them in the towns of Guapi, in Timbiquí, in the municipality of López de Micay ; they come, they keep coming, one and another," says a community leader of the region. 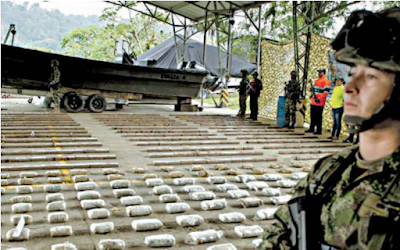 With the disarming of the FARC guerrillas, which for decades controlled these territories of blacks and Indians, Mexicans who previously only had to wait until the Colombian cocaine arrived for sale in the US decided to reorganize. The cartels of Sinaloa and Jalisco Nueva Generación resorted to their own emissaries in the dispute that was opened over the control of the routes in Colombia.